Miss Print: Sew Mama Sew Giveaway Day! Love your bags! I'm having a blast reading all these creative blogs. So much for laundry! I hope everyone has clean undies. hi from México! your blog is great! thanks for the hance to win, the prizes here are amazing! besos! The bag is fabulous. I have only made one so far which was the friendship tote from Rachel's tutorial. My daughter loves buttons and I love the fabric. Thank you for the giveaway. What an adorable bag! Great giveaway! Sweet tote! Hope you'll find time to visit my blog as well. What a pretty bag! I'm on the hunt for cool fabrics to make dollies - fingers crossed you pick me! I love those JD fabrics - great tote!! i could never have enough buttons! I love the bag and all the other stuff, it's been anice morining hoping to win some of these amazing gifts! Thank you! Oh yes! Sign me up. And then come enter mine. Love the bag, just the right size for taking a project to go. I should stop with these comments because the kids are wondering why I'm in my jammies still. Should've gotten a sitter for giveaway day. Your bag is gorgeous! Love the color and fabric. The stash builder scraps will be great as I am working on that crazy scrappy pineapple project. Yikes. I have gladly added you as a follow blog. 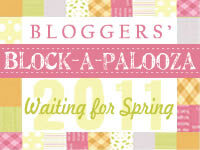 I have met so many great bloggers from Sew Mama Sew Giveaways in the past. I'm happy to have found your blog! I will be a frequent visitor now! I can use all the stash stuff I can get! i'd love that bag and what great fabric! happy holidays! Bags with fabric make for great giveaways. Thanks for the chance! i love the stash stuff. i'm a stash hog! :-) thanks for the chance to win your stuff! Sew Awesome! :) Thanks for participating and giving newbies like me the chance to build up a stash! What a lovely giveaway! It's a chilly morning here but made more pleasant by procrastinating and checking out all these amazing giveaways! Have a great day. Pick me! Oh, wait, we're not supposed to say that :) Well, I really love your giveaway, I'am a fabric addict, so fabric is always good. And your tote is simply lovely! oh, cute! stash builder giveaways are the greatest :) thanks! The fabric is cute but the bag is cuter! I can see myself putting a knitting project in there or stuffing it with yarn! Oh, wow, what an incredible giveaway! I LOVE the bag! I'd love to know more about how you made it. And the pile of fabric--drool. I've been following your blog for awhile now and you always have such super-cute stuff! I'm loving the bag! cute bag! i could always use more stash busters. Beautiful bag - and my stash probably shouldn't be built any further, but those fabrics are lovely! That bag is super cute! Love the fabrics as well, I definitely need to up my stash! Love your fabric choice on the bag! Thanks for the chance on all the great goodies! Don't know whether I love the bag or the stash-builders more! Lovely! Love the fabric. Thanks for the give away and celebration of CHRISTmas. That's a great shape for a knitting tote, actually! What a gorgeous bag! I love that fabric you used. I love the bag! What wonderful stuff. Thanks for the chance! I love me some fabric scraps, and Joel Dewberry is probably my fave right now. Thanks for such a generous giveaway! That's a lovely bag, and I'm addicted to collecting scraps :) Thanks for the giveaway. I think that the word verification applet ate my last entry :( Love the bag, and the scraps! Thanks for the giveaway. 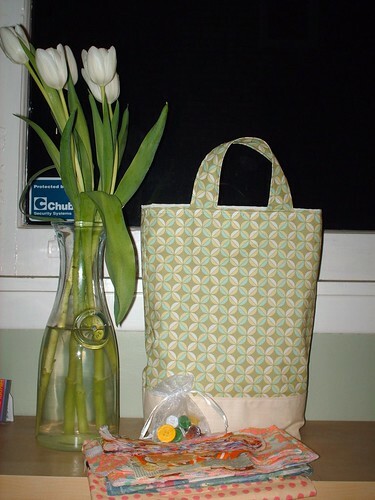 The bag is wonderful and what a bonus the scraps are! Your bag is so nice, job well done, i would love to be the owner of that! thanks for the scraps...i see some Arcadia and thinking to use mine in a quilt for my son. great giveaway!! I would love to enter for this! And a great giveaway! Love that Joel Dewberry fabric on the bag! I will be following your blog - so nice to get to know other Canadians (I'm from Kingston, ON). The bag is beautiful and my stash could definitely use a little growing. Thanks for the giveaway! What a great give a way! Thank you! My children and I are sewing stuffed bears to bring the Filipino children this Christmas and your adorable fabric samplings will make a great addition to our work. what a beautiful bag, and it is so generous of you to give all the extras away. 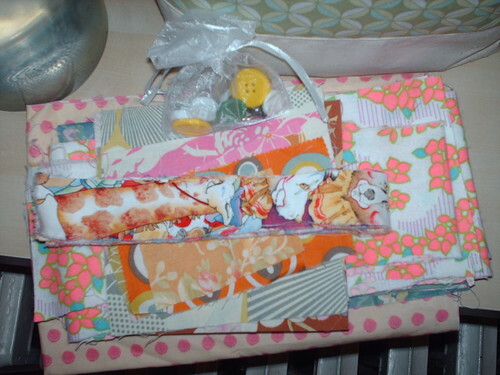 Fabric Bag, Fabric scraps, giveway what more could a girl ask for! Thanks for the chance to win. I love all the cute things you make! Kat. the bag is lovely! 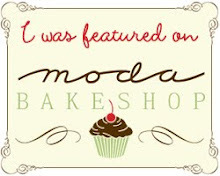 the blog is lovely! I'm just learning to quilt and sew, and I'm glad I found you. I just became a new follower. Your blog is so cute! The bag is so adorable! Scraps are always useful. And I just added you to my bloglines. Kaye, this is soooo pretty! I love it, what a great prize! Are you an Anne of Green Gables fan? I love those books too! Great movies as well. Such a beautiful tote bag! I'd love it! I love the bag and the fabrics! So cute! Love the bag! Would be great to tote around toys for my little one! Are those dogs with clown ruffled collars? Love the orange flowers material! What nice prizes! Thanks for the opportunity. The bag you are giving away is so beautiful, and practical too! What a generous gift for one of us lucky people! I love the fabric you've used for the tote - so pretty. here is a favorite cookie recipe! and stashed fullof crafty goodies- sooper dooper! Hi I'm Cortney from MI. What a great prize. I'm having a giveaway too, if you'd like to enter :) Have a great day!! I love the idea of using canvas for the bottom of the tote - great fabric by the way. The bag is fantastic! Very professionally done--which is something I hope my bags are! Thanks so much for the chance to win--this is too much fun! Ha~I just couldn't help myself;o} L.O.V.E the bag! That bag is beautiful! I'd love the stash builder as well, I am getting a sewing machine for Christmas and can't wait to dive in! Great giveaway! I'm here at home with a sick husband and a baby who's sad that she can't go jump on him. Gorgeous fabric. I love the one with the bright pink flowers. Cute fabrics and I like the size of that bag. I'm amazed that you have fresh flowers in that vase. I can't even take care of a cactus. cute bag! What a great giveaway! Love the fabric on the tote! and Thanks for participating in this fun event! I'm a scrap queen and will love using your treasures in something! wow! i love what you are giving away! Merry Christmas to me if I win this giveaway! The giveaway is great. Thanks so much. Hope you all have a wonderful Christmas season. Cute bag! I also adore your pinwheel baby blanket! Thanks for the giveaway. greetings from chilly Calgary, but originally from Collingwood. this giveaway day is great, wish i had time to stop at all the wonderful blogs. love your little pile of goodies. Oh, wouldn't this be awesome! Love your blog and your mom's! Thanks for the chance to win such a fabulous giveaway! Love the bag...I already have a use in mind for it. I'm always looking to add to my stash that is just starting up. Loving the fabrics and the Bag is fantastic!!! thx for sharing. That is an awesome bag! Love it! Just became a follower...looking forward to sitting down for a good read. pick me! pick me! (just kiddin') the bag is adorable & who cn't use more stash?!? Cheers from Barcelona, and thanks for a chance to win! Love the bag. And more stash--sign me up for that baby! I'm following you on Google Friends Connect. I love scraps, the possibilites are endless! I'll be coming back for more. One of the best things about this giveaway is finding new great blogs I didn't know about before! Pretty selection of fabrics! I really enjoyed browsing through your blog. We live in the same city and are of the same age! lol, it's so rare to find other young people who are into sewing. Every other blog I see are of mommies of x beautiful children, so it's really refreshing to see what another fellow young sewist is up to! Keep up the great job! what a lovely lot of goodies! Great bag. I'm glad I discovered your blog! Pretty fabric! I love giveaway day because I find new people and blogs to follow! I'm now following your blog. that pink floral print fabric looks awesome!!!! Thanks for the fun giveaway. The bag is very beautiful! Also I see some really great fabric in the stash. Hello I'm from Greece! I think your bags are awesome!! Realy like the choice of fabrics! !thanks for the giveaway! Hi Kaye, you've got me in with your header alone- it's really nice. I want a nice blog header- but it's on a really long to do list. Have added you to my google reader so will be able to keep up with you. I am in Austraila and it's really really hot where I live today. Thanks for the giveaway, it's really great! I'm now following your blog!!! i've just come across your blog but i'm so pleased to see 'kilmeny of the orchard' in your header. it's one of my very favorites. i'm looking forward to reading more. thanks for the giveaway! I am also a huge Lucy Maud Montgomery fan so I just got sidetracked by all of your links! I love Kilmeny of the Orchard . . . I mean we all love Anne of course, but Kilmeny is such a sweet, satisfying story! Hello fellow Canadian! I'm from Nova Scotia. Great giveaway! What a lovely giveaway. I have that same fabric in the chocolate shade in my stash! GULP. how lovely are THESE goodies. you always have the best things. thanks for another chance. loves! the tote bag would be enough for a giveaway . . . but you want to add to our stash!!! THANK YOU. . . thank you ... thank YOU! Darling tote bag- truly, so cute! I am a LMM fan too! I love the monkey in your header! Did you make him? And it's fun to know that you are Lucy Maud Montgomery fan! I didn't read the Anne of Green Gables books until I was an adult, but I love them! What a cute bag and fun fabrics! I have become a follower of your blog! And I still like that monkey :) Is there a pattern for her? You are so nice to share the bag with us. Thanks a lot. GReat blog. Love the bag and the fabrics. Love the bag and fabric. Very nice! Just subscribed. Looking forward to learning more about you. Hi -- Thanks for the chance. Great bag. Of all the give aways - this is the one that I really love the best. Wow, what a generous giveaway! The bag looks great and you're throwing in buttons AND fabric?! Yay! HI there, What a fantastic Giveaway! We make dolls and would make fast use of all that fabric! Thank you for participating. Beautiful bag! Thanks for the giveaway and happy holidays. I am loving that bag! And my stash needs some excitement! Great Bag! looks like there are some interesting fabrics in there too!!! That is a nice tote!! And what a stash! Thanks for doing this!! I'm making totes for Christmas - but this one would be just for me! Oh wouldn't I look lovely carrying that tote to and from work everyday ;-) Thanks for offering a giveaway! Thank you for a great giveaway. That tote is gorgeous. I think I could happily have a fabric bag for every day... I love to make & buy them! Oh this is a gorgeous bag and goodies!! I would love to win this. Ooohhh.... groovy stash builder collection ... and love the bag. This is a rockin' giveaway! Such a cute tote. I hope that you have a wonderful holiday season. Thanks for a chance to win. What a cute bag! Thanks for the chance to win! What lovely prizes! Thanks for the chance to enter! That tote looks like it could hold a lot of stuff! Very cool. Thanks for the giveaway! Almost forgot, I'm a new follower. Thanks again. I am glad to have found your blog. I'm enjoying nosing around some of your older posts. Thank you so much for the chance to win these goodies, the bag is really cute. The bag is great and so are the extras! Thanks for the chance to win. I have just subscribed to your blog through Google reader. What a wonderfully generous giveaway Kaye! the best part about these giveaways is finding all these great blogs out there and making new blogger friends. thanks for being part of this. Since I do not have a stash (I seem to buy just what I need and use it) and could use any help in getting one going. Your prize package is very exciting! I love the bag. I looooove the fabric scraps.